Kinderchor der Deutschen Oper Berlin, Chor der Deutschen Oper Berlin, Orchester der Deutschen Oper Berlin / Ulf Schirmer. Stage director – Götz Friedrich. 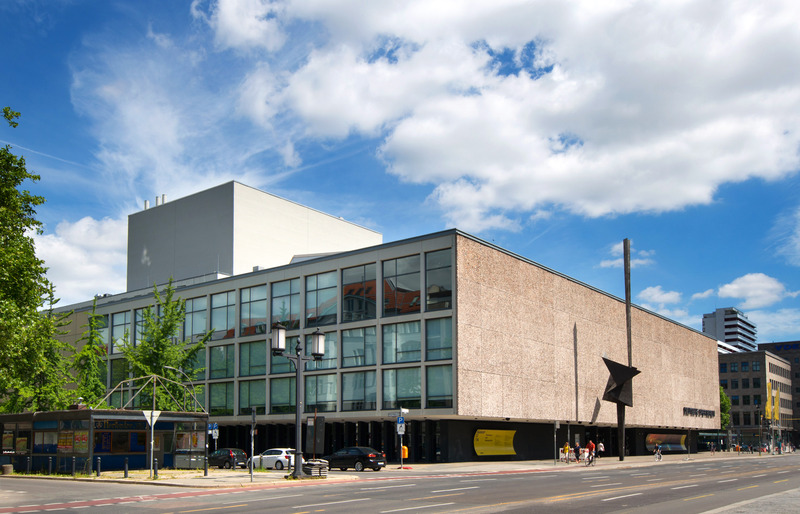 Deutsche Oper Berlin, Germany. Sunday, April 10th, 2016. What is it about Rosenkavalier that really brings out the best in an opera company? The past few evenings have proven that the Deutsche Oper orchestra is a Strauss band par excellence; but what tonight also reinforced is what an outstanding ensemble of singers this house is able to field. Indeed, I would go far as to say that the quality of some of the supporting roles was actually what one would expect of the principals in some other theatres. Premiered in 1993, Götz Friedrich’s staging was tonight revived most convincingly and felt like new. It starts from an interesting premise, comparing the Marschallin’s private isolation with the busier public lives the other characters live. In the first act, a drape is drawn across the stage through which we can perceive the activities of the Marschallin’s household taking place in the background. In the third act, the private room in which Ochs is entertaining Mariandel is the stage of a theatre through which the audience can see the events taking place on the other side. As the Marschallin sings her final phrases in Act 1, she moves the drape to be confronted with mirrors, unable to escape her own reflection nor to escape being obligated to reflect on it. In Act 2, Faninal’s house is seen to be full of mirrors reflecting the nascent lovers’ impressions of one another and of the reality of the situation in which they find themselves. I found both these ideas extremely convincing and they worked very well. The idea of being unable to escape the passing of time and the idea of the public nature of love are ones that are certainly key to the work and Friedrich’s regie bring these out to the full. Costumes appear to have been set in the 1920s and the knowledge that the Marschallin’s world is one that will soon be coming to an end, gives the staging even more poignancy. That said, I doubt it would have had had the sheer impact it did have had it not been for some truly glorious performances and tonight, we really did have an evening where there was not a single weak link. Michaela Kaune replaced the originally-cast Anja Harteros and we were particularly lucky to have such an experienced and truly ideal exponent of the role. Sung off the text, Kaune encapsulated all of the facets of the part, from playfulness to determination to regret. Hers was an aristocratic reading and the way she entered in the third act radiating regal presence was something very special indeed. Kaune’s is a relatively narrow soprano but exudes exquisite creamy beauty. The way she floated the opening of the trio, at a daringly slow tempo, was sheer perfection. As it developed and the voices began intertwining I have no doubt those watching were in Strauss heaven. It was miraculous and capped with those glorious high Bs. In fact her final ‘ja, ja’, in just two monosyllables brought us with the voice into the inner world of the Marschallin. This was a major achievement. Daniela Sindram was a truly exceptional Octavian. With many exponents of the role, one is made aware of the fact that much of the part takes them to their limits and beyond. Not so with Sindram. She sang with the utmost security from the ardently ruby red middle to a top that opens up magnificently. She was a convincingly boyish stage presence and also managed to convince as Mariandel that she was really was a boy in ladies’ clothing. Naturally the Viennese diphthongs were dispatched with a real feel for comedy and she blended ravishingly with Siobhan Stagg’s Sophie. Stagg was something very special indeed. The voice is exceptionally well placed so that while not huge it carries nicely through the theatre. The sound is light, seemingly hovering on the air and like Kaune, she has an attractive quick vibrato. It’s a sound that shimmers yet she also works off the text producing singing of genuine character, if perhaps as yet, the range of tone colours is still slightly limited. Albert Pesendorfer sounded at first as if he was possibly suffering from a case of first night of the run nerves. During the first act, the words were swallowed and the voice didn’t quite carry. In Act 2, the Austrian bass found his stride and lived the role with impeccable comic timing both through the text and through his physical movements. His bass has a very warm and handsome sound and while the low D at the end of Act 2 lacked somewhat in resonance, it was certainly there. The remainder of the cast was stupendous. When an Annina is as good as Stephanie Lauricella then it’s clear that the casting really is of the highest level. Lauricella sang in a well-schooled mezzo, absolutely even from top to bottom with an excellent legato. I would certainly love to hear her Octavian one day. Likewise, Patrick Vogel’s Valzacchi was dispatched in an elegant lyric tenor. Matthew Newlin’s Singer had real Italian swagger to spare and sang with generous passion. Michael Kupfer-Radecky’s big-voiced Faninal raged effectively but was occasionally cavalier with pitching. It’s a voice I’d like to hear again though. Every single other role was sung with genuine distinction, a real credit to the house, as was the well-trained children’s chorus and the adult chorus in their brief interjections. Ulf Schirmer gave us an expert navigation through the score. His conducting displayed a total mastery of the quicksilver changes of mood that abound in the piece. This wasn’t a reading that wallowed in sentimentality and perhaps the closing pages of Act 1 might have benefitted from a little more space to make their mark; but the way the trio just floated on air was something very special. What he also did was ease into the waltzes so irresistibly that the whole piece unfolded naturally and organically. It sounds easy, but it really isn’t, and he was rewarded by playing of the very highest quality from this fabulous orchestra. One can tell the quality of a band not just from the corporate sound they create but also from the way the soloists play with individuality and collaborate with one another. The way the oboist, Juan Pechuan Ramírez, articulated his lines with such musicality, combining magically with what was happening on stage was simply wonderful. The depth of tone in the string section is something that I’ve remarked on before and here the sound they produced, at once both full and transparent was truly remarkable. The warmth and beauty of Arthur Hornig’s cello playing also made itself known in his solos. The horns too, full-bodied and accurate really stood out. The sound world was captivating with immaculately unanimous portamenti and chords ideally voiced. This really was the Straussian playing of one’s dreams. Tonight capped a marvellous sequence of evenings at the Deutsche Oper, one in which we laughed, cried and felt everything else in between. That the house was able to put on a festival such as this with rarities and more commonly heard works is something to treasure and I hope is something that they will continue to do. Tonight’s Rosenkavalier was a deeply moving meditation on the passing of time and the boundaries between public love and private loneliness. It was phenomenally performed both by the singers and the orchestra and masterfully conducted. Granted, there might have been a few places that could have benefitted from a little more rehearsal but the cumulative effect is what matters and it was indeed, glorious. What made this Rosenkavalier so special was the genuine and unmistakable feeling of it being a real company performance and that indeed is something to treasure.